Los Angeles has lots of trails that allow dogs. Need proof? 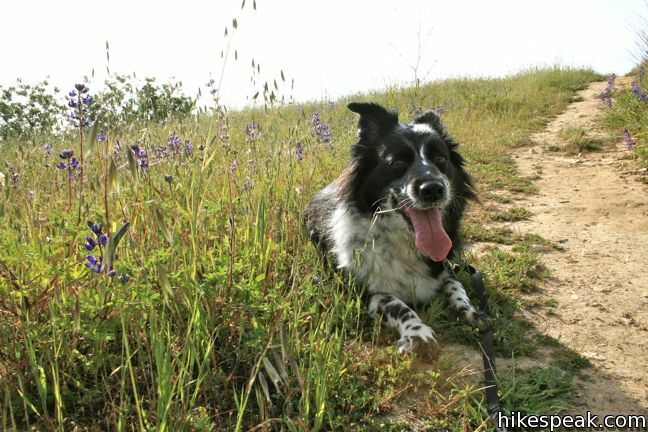 On this page you’ll find a collection of over 125 dog-friendly hikes around Los Angeles. As a general rule, national forests and national recreation areas are dog-friendly, opening up plenty of trails in Santa Monica Mountains National Recreation Area and Angeles National Forest (which includes San Gabriel Mountains National Recreation Area). California State Parks do not usually allow dogs on trails, but city and county parks do. You can hike with your dog in many places around Los Angeles. What are the most dog-friendly hikes in Los Angeles? On the bulk of trails where dogs are allowed, they expected to be on leashes. Los Angeles has a few exceptions. You’re probably familiar with LA’s most famous dog-friendly park, Runyon Canyon Park, which has off-leash areas where dogs can run free. Fewer Los Angeles residents are aware that dogs are also allowed to be off leash in Westridge-Canyonback Wilderness Park (under direct supervision of course). Runyon Canyon – Hike up to 3.25 miles through on and off-leash areas, getting a workout and views over Hollywood. Westridge Trail to San Vicente Mountain – Hike part or all of a 7.4-mile round trip hike up a scenic ridge in Brentwood that leads to a summit park built at an old Nike Missile site. Upper Canyonback Trail – Hike 3 miles round trip from Mulholland Drive down another ridge near San Vicente Mountain. Discover more dog-friendly hikes on the lists below, separated into LA’s main mountain ranges and hiking areas. Are you looking for a hike that allows dogs and is close to where you live or near a place that you are visiting? Another way to locate dog-friendly hikes is to search for trails that allow dogs in a particular part of Los Angeles (or elsewhere) by using the Hike Finder Map. Uncheck the box next to “Doesn’t Allow Dogs” to only view trails that are dog-friendly. Warning: Rattlesnakes are prevalent around Los Angeles, especially during spring months, so be careful hiking with your dog. These dog-friendly hikes are separated by region and listed alphabetically to make it easy for you to get outdoors with your dog. Enjoy! This 4-mile round trip hike is the most direct route to Angel Vista, a panoramic viewpoint in the Santa Monica Mountains overlooking the Conejo Valley. This 7.6-mile round trip hike climbs 800 feet to an overlook on the north side of the Santa Monica Mountains above Thousand Oaks. This 4-mile out and back visits a 200-foot waterfall that is split into two tiers. The upper tier is 150 feet tall and stunning after a rainstorm (but the trail is steep and may be difficult for small dogs). This 3-mile out and back visits a remote grotto in the Santa Monica Mountains National Recreation Area. Dogs are permitted along the trail, but not allowed over the last 1/8 mile through the grotto itself. This 5.4-mile loop combines trails and streets to visit the Hollywood Sign on Mount Lee, neighboring Cahuenga Peak and Burbank Peak, and Lake Hollywood Reservoir. This 4.8-mile round trip hike leaves from an active rock quarry and progresses up a beautiful canyon to a mesmerizing multi-tiered waterfall (dogs are allowed on weekends only). This 6,215-foot summit can be reach from two trailheads for a 1.33 to 6.25-mile hike gaining between 575 and 1,000 feet. This 6,161 foot peak is reachable via a 4-mile round trip trail from Mt. Disappointment Fire Road. This 7.5-mile round-trip ride up La Tuna Canyon reaches the highest summit in the Verdugo Mountains, a small mountain range north of Burbank. This 4.75-mile hike rises to a 2,715-foot summit in Rocky Peak Park within the Santa Susana Mountains between Chatsworth and Simi Valley. Dogs are not permitted on Hondo Canyon Trail. This trail is within Topanga SP where dogs are not permitted on any trails. Dog citations in State Parks run somewhere between 2 and 3 hundred dollars. Thank you for catching the error. The site has been updated. What a wonderful site. I just got a new-to-me dog whose favorite thing is to take long, brisk walks. Having her also affords me the opportunity to visit areas of LA that I’ve never been to before (or in many cases even knew about!). This list of dog trails will serve us both very well. Thank you. Thank you. Thank you. watch out for rattlesnakes on cold creek trail. My dog and I were almost bitten by one, thankfully my dogs coat was so thick that the fangs snagged in it and didn’t bite her. But I still had to run her to the nearest animal hospital to make sure.